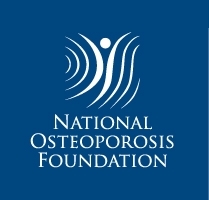 Osteoporotic fracture (OF) is a serious outcome of osteoporosis. 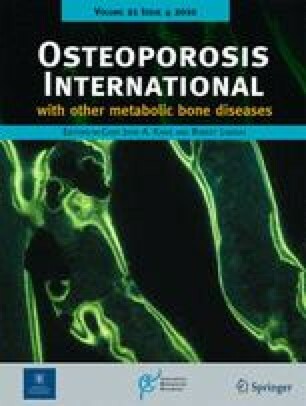 Important risk factors for OF include reduced bone mineral density and unstable bone structure. This genome-wide copy number variation association study suggested VPS13B gene for osteoporosis in Caucasians. Bone mineral density (BMD) and femoral neck cross-sectional geometric parameters (FNCSGPs) are under strong genetic control. DNA copy number variation (CNV) is an important source of genetic diversity for human diseases. This study aims to identify CNVs associated with BMD and FNCSGPs. Genome-wide CNV association analyses were conducted in 1,000 unrelated Caucasian subjects for BMD at the spine, hip, femoral neck, and for three FNCSGPs —cortical thickness (CT), cross-section area (CSA), and buckling ratio (BR). BMD was measured by dual energy X-ray absorptiometry (DEXA). CT, CSA, and BR were estimated using DEXA measurements. Affymetrix 500K arrays and copy number analysis tool was used to identify CNVs. A CNV in VPS13B gene was significantly associated with spine, hip and FN BMDs, and CT, CSA, and BR (p < 0.05). Compared to subjects with two copies of the CNV, carriers of one copy had an average of 14.6%, 12.4%, and 13.6% higher spine, hip, and FN BMD, 20.0% thicker CT, 10.6% larger CSA, and 12.4% lower BR. Thus, a decrease of the CNV consistently produced stronger bone, thereby reducing osteoporotic fracture risk. VPS13B gene, via affecting BMD and FNCSGPs, is a novel osteoporosis risk gene. Fei-Yan Deng and Lan-Juan Zhao equally contributed to this work. The online version of this article (doi: 10.1007/s00198-009-0998-7) contains supplementary material, which is available to authorized users. We thank Dr. Tian-Bo Jin for help in CNV and CNVR determination. Investigators of this work were partially supported by grants from NIH (R01 AR050496-01, R21 AG027110, R01 AG026564, R21 AA015973, and P50 AR055081), the Cancer and Smoking Disease Research Bone Biology Program, and Nebraska tobacco settlement biomedical research development award, both supported by the State of Nebraska. The study also benefited from grants from National Science Foundation of China, Huo Ying Dong Education Foundation, Xi’an Jiaotong University, and the Ministry of Education of China.